How can we Bee the change? Without pollination, we’d have no apples, tomatoes, strawberries, green beans, grapes, squash and many more food crops. In fact, over 75 percent of food crops—and about 90 percent of all plants—rely on pollinators to reproduce. But the population of bees, butterflies, bats and other pollinators that fly from flower to flower, fertilizing plants by distributing pollen, is in drastic decline. While the decline is still being studied, we do know that loss of habitat, invasive species, climate change, and overuse of pesticides are some of the possible causes. We can make a difference! If everyone in Massachusetts takes even one step to Bee the change, we’ll be helping to reverse the decline—and breathing easier, growing our economy, and making our state even more beautiful in the process. Flowering plants must be fertilized in order to produce seeds for new plants, but most plants lack the ability to fertilize themselves. They need help from pollinators. When we hear the word pollinators, most of us think of honey bees, but many kinds of bees, as well as butterflies, bird, insects, bats and invertebrates also pollinate plants. Pollinators fly around, searching for food, water, and places to nest. They eat or collect pollen and nectar from flowers as a source of food. Each pollinator species is attracted to the fragrance, colors, and shapes of particular flowers. 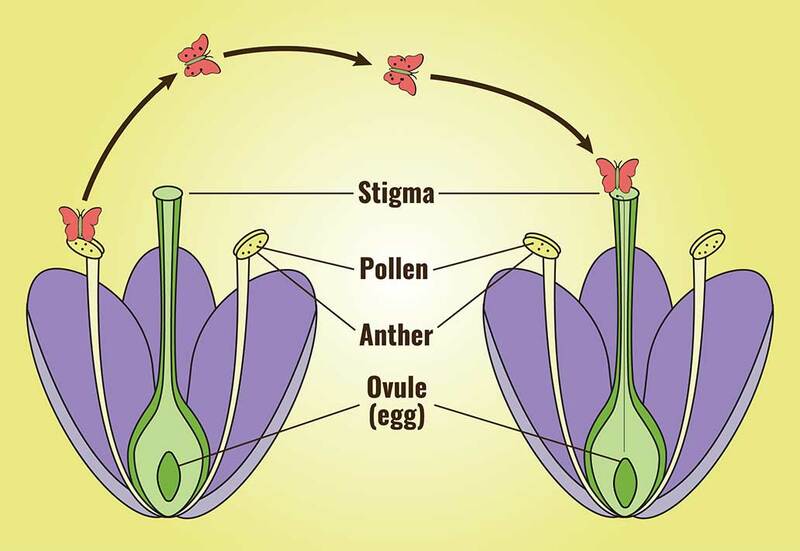 As the pollinators travel from flower to flower, they inadvertently transfer pollen grains from the anther (the male organ) to the stigma (the female organ) of the same species. Once the pollen grain is transferred to the stigma, a “pollen tube” forms and grows down into the ovule, which results in the development of seeds or fruits. Over 75 percent of crops grown worldwide (USDA study) wouldn’t be able to reproduce without pollinators. Without pollinators, we’d lose a lot of plant diversity. Having access to a wide range of crops ensures a good supply of vitamins and minerals and provides us with more cancer-fighting foods. The loss of foods wouldn’t only hurt our nutrition, but it would also be detrimental to our farms. Farmers depend on pollinator populations for their livelihood. Bee pollination accounts for $20 billion alone (USDA study). Strong and diverse pollinator populations allow farmers to grow healthier food in greater amounts. Roughly 90% (USDA study) of all plants rely on pollinators for their survival. Given the current decline, the World Conservation Union predicts the loss of 20,000 flowering species in the next few decades unless we take action. Many herbivores rely on these flowering plants, and predators, in turn, rely on the herbivores for their survival. Thus, the health and diversity of our entire ecosystem relies on pollinators. Habitats like meadows, forests, and even front lawns and back yards are extremely important for pollinators. Each habitat is home to many different species. Our ecosystem has already lost a lot of plant variety, which makes it difficult for pollinators to find food and increases competition for scarcer supplies. Having a diverse range of habitats provides food sources for all types of pollinators and ensures that food is available throughout the seasons. Ever notice how some flowers are very long and thin, while others are wide and flat? Long, thin flowers are ideally formed for hummingbirds to find food, but they’re the wrong shape for other pollinators. That’s why planting a variety of flowering plants is so important: it helps ensure that many species can thrive. Habitats have also become “fragmented,” or separated, which means there may be big gaps between suitable spaces for pollinators to find food and shelter. Some pollinators, like the monarch butterfly, migrate over long distances every year. These butterflies need lots of food and nourishment to travel so far. If there’s too large a distance between sources of food and water, monarch butterflies won’t survive their journey. Human development has also caused the pollinator population to decline. Some egg-laying insects need specific conditions to nest and reproduce. Buildings, concrete, and impacted soil reduce the number of available options, so pollinators must compete for appropriate space. In addition to the decline in the pollinator population, we’ve also lost a lot of pollinator biodiversity. Biodiversity is the variety of life on the planet. Having a diverse variety of species is important, because each species has characteristics that enable it to thrive in different conditions. As climate change leads to changes in weather patterns, some species are struggling to adapt. When we take action to help pollinators survive, we’re maintaining the biodiversity we need to ensure that there will be enough species to pollinate our crops in the future. The excessive use of pesticides has also been correlated with the pollinator decline. Pesticides are designed to kill extremely harmful pests like the tomato hornworm, but are lethal to small beneficial organisms. Unfortunately, we can’t prevent pollinators from coming in contact with the pesticides. For example, wind can spread pesticides far from their intended location. In addition, some pollinators travel long distances and encounter pesticides to only bring them back to their colonies. This can spread the impact of pesticides through large parts of ecosystem. Herbicides can also effect the pollinator population, because they can kill off wildflowers and destroy foraging habitats that certain insect populations rely on. Following best practices for the use of pesticides and herbicides—and reducing or eliminating their use whenever possible—can reduce their potential impact on pollinators. Introducing new plants and animals to a new environment can also lead to decline in pollinator populations. When non-native plants or animals enter an environment, they can crowd out native species, including the pollinators that the native plants depend on. For example, bamboo is an invasive species in North America. 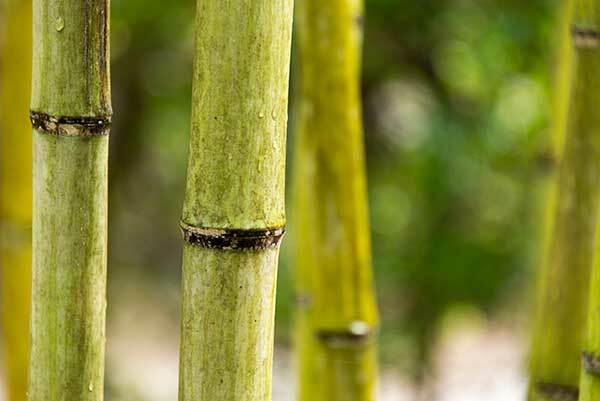 When grown in Massachusetts, bamboo thrives and takes over land previously occupied by native plants, reducing the amount of biodiversity in a location. When new plants or animals are introduced to a habitat, they can also bring in new diseases, which may also reduce the pollinator population. Bees, birds, and other pollinators use pollen and nectar they find in flowering plants for food. Stay local! Local native plants are always going to be the better choice for pollinators. The best place to find them is at your local garden center or through a local landscaper. Go with variety. Remember, different pollinators are attracted to different shapes and colors. If you’re going to put in several plants, try to mix it up! 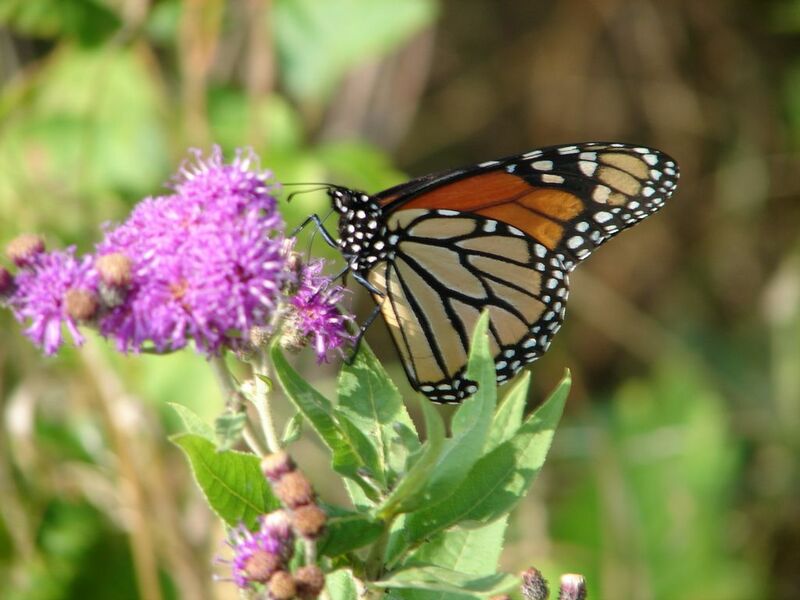 View our list of native pollinator plants for more information. Use species that bloom throughout the different seasons. Pay attention to how much sun is available where you plant. Ideal spots receive at least six hours of sun. If planting in containers, make sure the soil is rich in nutrients and has good drainage. Fragrant flowers are more attractive to pollinators, especially for nocturnal pollinators, like bats. Hummingbird feeders are also supply a great source of nutrients. 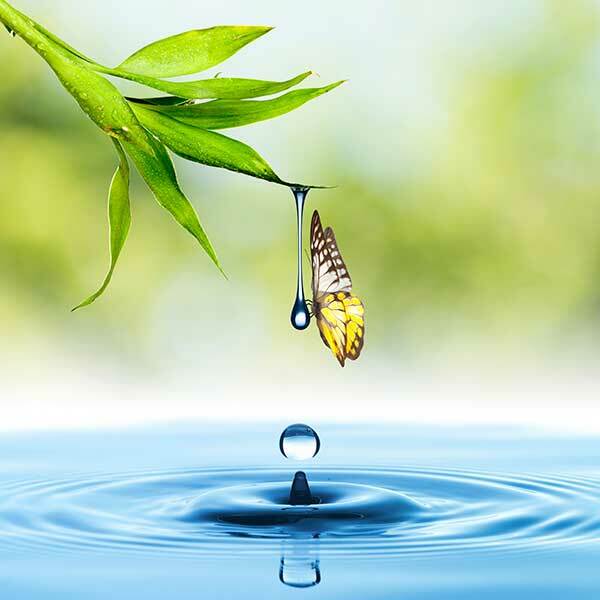 Water is an essential resource for pollinators; it helps with hydration and reproduction. If you have a stream, pond, or other natural resource, you don’t need to add anything else. Birdbaths or open containers are great alternative to natural sources. Change your water every 2-3 days to keep mosquitos from spawning. Make sure containers have a shallow or approachable side so pollinators can drink without drowning. Pollinators need shelter for nesting and seasonal protection. Nesting sites for pollinators differ from species to species, so any option you can provide is likely to attract pollinators. Some bees nest in the ground. Leave some areas of bare soil that isn’t too compacted where they can nest. If you have a space away from your house, dead wood provides shelter and nesting for bees, wasps, beetles, and ants. You can even build nests for native bees. Instead of cleaning up your garden in the fall, leave debris until the spring to provide shelter over winter. Remember, pesticides can kill more than your intended target. Some can still kill pollinators days after application. Before you use a pesticide or herbicide, try one of these alternatives. Remove pests or weeds manually. You can pick pests off or pull weed by hand (Use a good pair of gardening gloves from your local store when doing this.) Or you can use a hose to remove colonies of pests like aphids. Use a natural predator instead. You can order ladybugs from your local garden center. Not only do they go to town on annoying pests like aphids, they’re wonderful creatures to have around. Use a non-harmful alternative. There are clever gardening tricks to keep away pests. Sometimes it involves planting pungent herbs like lemon balm, while others take advantage of hot spices or cinnamon. When dealing with pests and weeds, the best motto is “a little time everyday.” If you spend just a few minutes a day pulling weeds or checking for pests, you can prevent problems from getting out of hand. Weeds aren’t always bad! Some provide nourishment for larvae while others, like dandelions, provide nectar when other flowers aren’t ready to bloom. Plant Something Massachusetts is a project of Massachusetts Nursery and Landscape Association, and was originally established in partnership with Massachusetts Flower Growers’ Association.